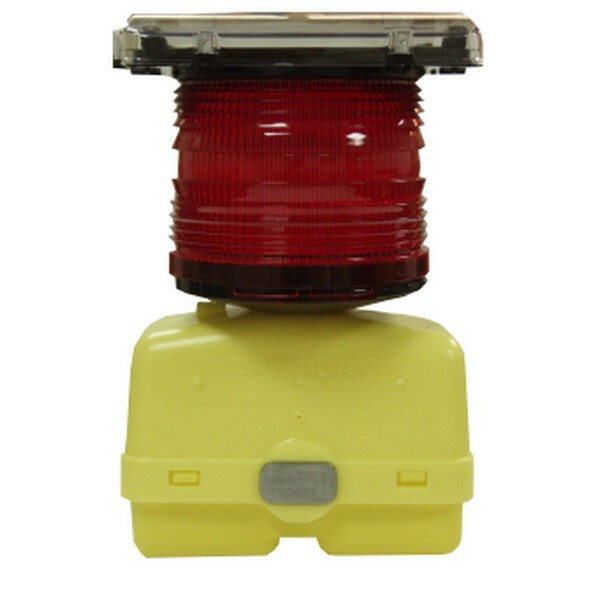 Solar Led Light, Led Red Light, Red Light, Led Light, Air Port Light, and more from Trans-Supply.com ! This light is solar and uses 4 LEDs to shine an omni-directional pattern. With a full charge, expect unit to last up to 6 days. 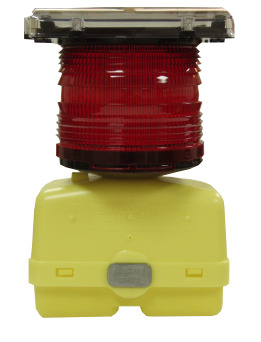 Get it in flashing, steady burn or 3 way configuration. For a Type D, meets and exceeds the ITE requirements and specs. There is a manual on/off switch it's recessed inside the battery case, dome is polycarbonate, case is HD polypropylene. The battery pack that recharges in the sun and contains 4 batteries can be replaced after it goes out pretty easily after a number of years of use.